I was checking out some EPP video on the web and they were using a glue stick instead on basting with needle and thread. 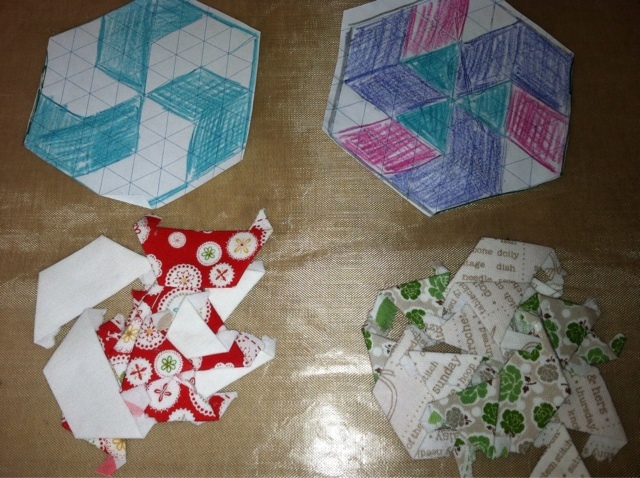 Since I still need to make about 60 more 2" pieced hexies I figured ok let's try it.....well I have no glue stick and I am in my pj's still sooooo, I found a site that has directions!! Guess what it was?? A one tbs cornstarch to one cup of water ratio boiled up into a paste. Clean out an old Gluestick and TA DA you have a non toxic glue stick. There is a little more steps but you get the idea. You can see all my blocks here on Flickr. Wow - I haven't tried gluing instead of basting. Sounds like a great idea. Howdy - this post is so fortuitous - I have just ordered EPP papers for the first time. Gluing sounds better than basting! I'm stopping over from Heart of Charnwood. 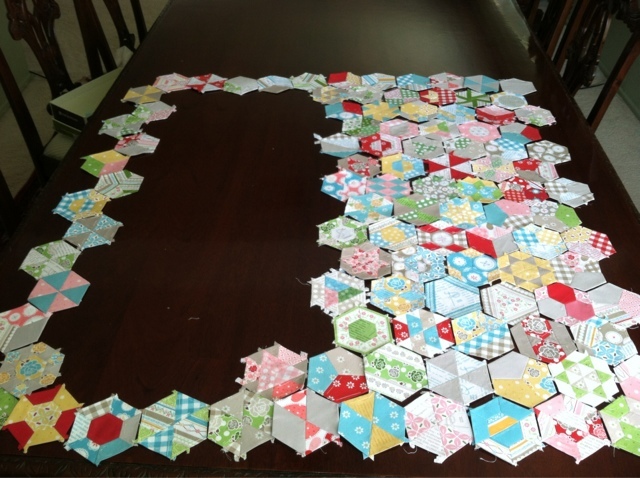 wow what an awesome hexie work! Wow! 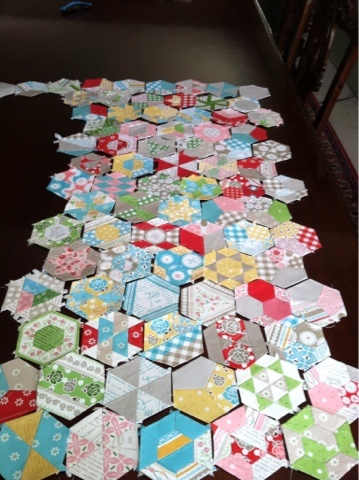 I love your hexies! They are so cool!! !